Chiff and Fipple Forums • View topic - Help buying a wire strung harp? Help buying a wire strung harp? 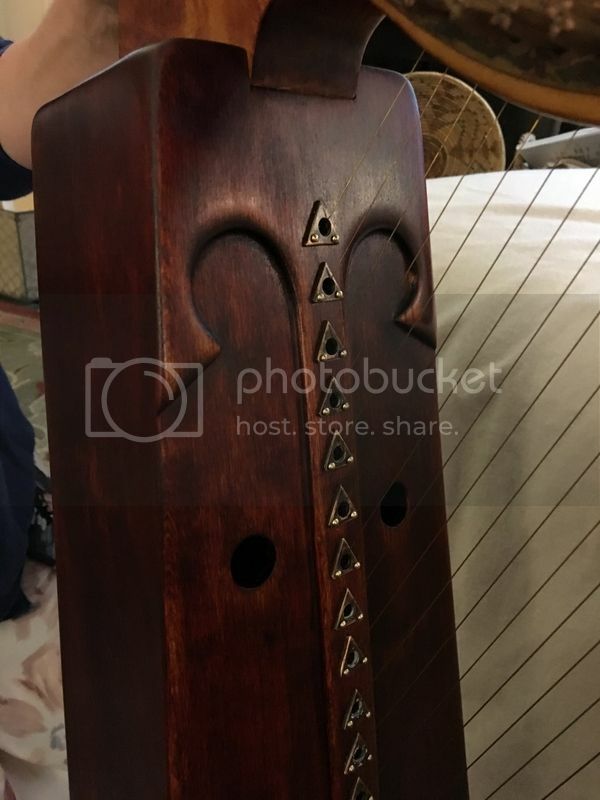 Post subject: Help buying a wire strung harp? Hello! This is my first post here, hoping to find some advice. I've recently started to learn the harp using a rental instrument, and now I'm looking at buying options. The ones I adore most are the wire strung harps. I know there are a few well-known makers like ardival and triplett, but they are also terribly expensive for someone just starting out. I found a couple of smaller non-ebay harp makers as well - folcharp, dreamsinger and another era lutherie, for instance. Does anyone know how reputable they are? Or am i just better off saving up and buying from a well known maker? 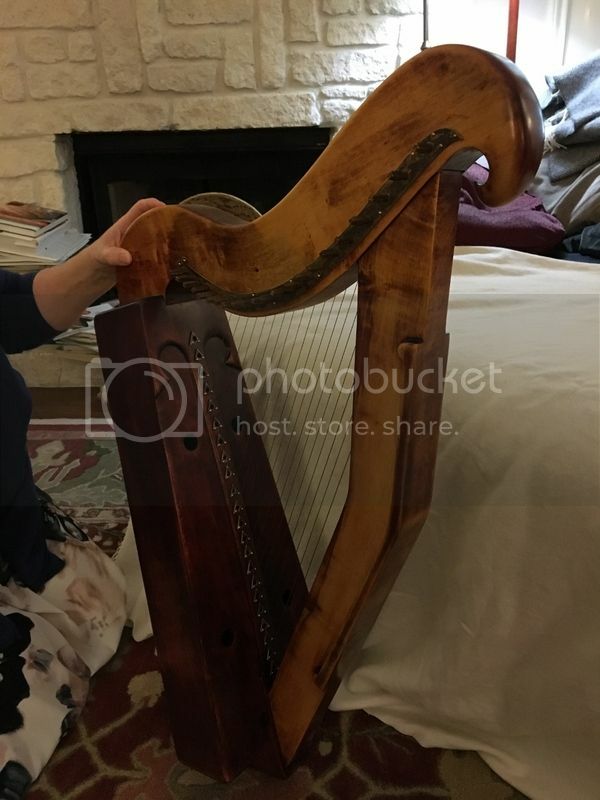 Post subject: Re: Help buying a wire strung harp? Another option is building your own, if you are handy and feel confident (or, have a woodworker friend who would help?). Musicmakers and Markwood both offer a kit... the 26-string Musicmakers Limerick and the 22-string Cambria kit. It seems Musicmakers have changed their offerings since the last time I looked, but perhaps they still have videos that also help with the build. Hello there, monochrome_rose. I'll email you a contact (too soon for PMs, yet). He's an experienced wire harper and he'll be glad to offer whatever guidance you need. Last edited by cat on Fri Jul 14, 2017 8:37 pm, edited 1 time in total. My wife has one wire harp from William MacDonald on Skye, and another on order. I thought they were very reasonably priced, for a hand-made instrument. Lovely tone, but they are much more difficult to bring up to tune and keep in tune than a modern gut-strung harp.